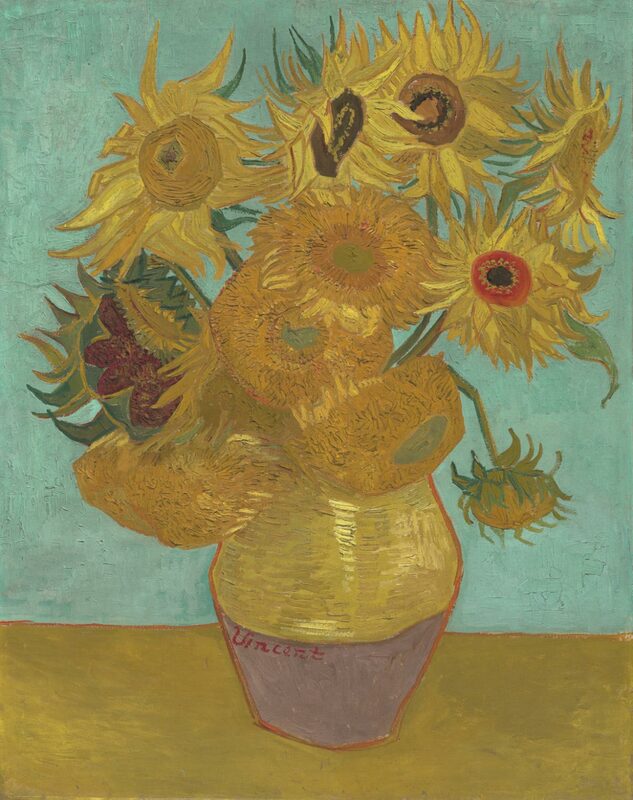 While he waited for Paul Gauguin to join him in the Provençal city of Arles in 1888, Vincent van Gogh painted five audaciously decorative still lifes of sunflowers in simple earthenware jugs. At least two of these canvases decorated Gauguin's bedroom when he reached the city late in October, and the French painter came to admire them greatly. 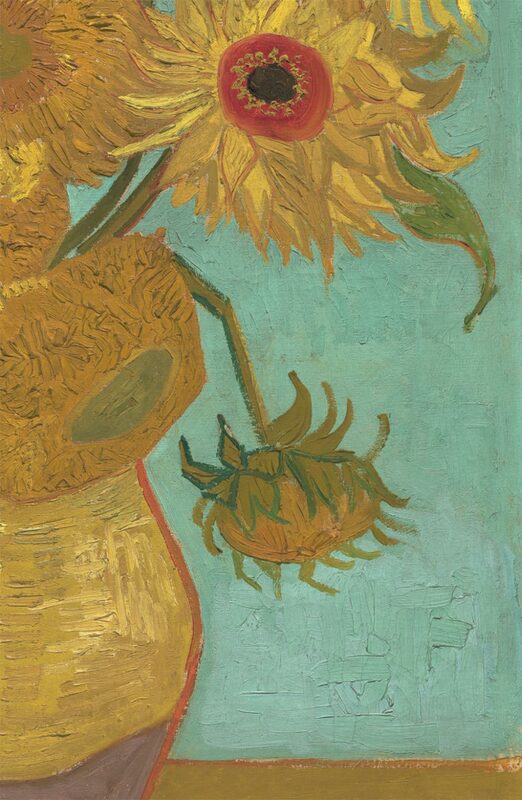 Always defensive about the tragic outcome of his stay--it ended with Van Gogh's self-mutilation and madness--Gauguin later claimed that the sunflower paintings directly reflected his own good advice, generously offered in Arles, that his Dutch friend avoid monotony by adding "bugle notes" of brilliant color to his paintings. 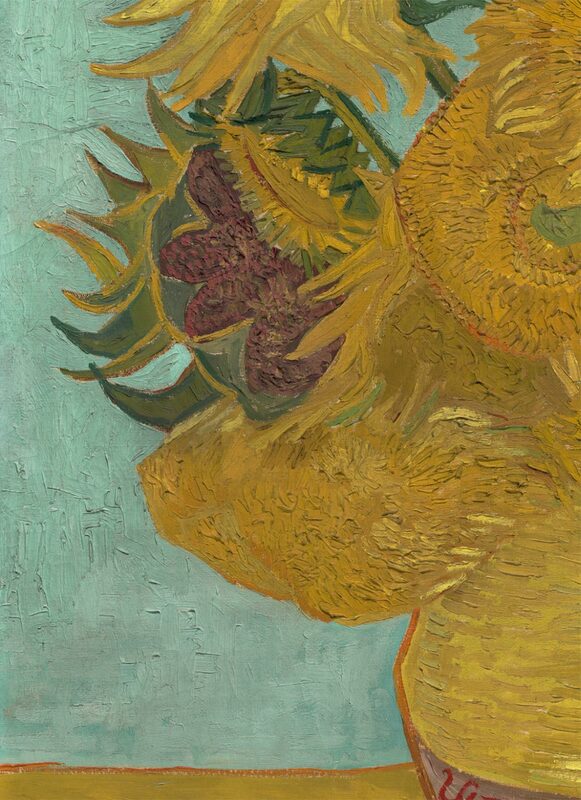 Whether the Philadelphia Sunflowers precedes Gauguin's visit or is one of two replicas Van Gogh painted the following year, it is an explosion of brilliant color and agitated outlines the twelve flowers as full of angular energy and as vital and vivid in personality as the artist who painted them. Christopher Riopelle, from Philadelphia Museum of Art: Handbook of the Collections (1995), p. 207.